Guess what firm leads the pack with over $50b market cap. Many investors are fascinated to watch how a public company is valued relative to other companies. Simply put, the higher the market value, the bigger the price tag investors put on it. Market capitalization, also known as market value, is the share price times the number of shares outstanding. Singapore Business Review compiled the market capitalization of publicly-traded companies as of June 14, 2013. Singapore Telecom topped the list with S$57.4bn market cap. It was followed by Jardine Strategic and Jardine Matheson with S$52.5bn and $51.4bn market caps. SingTel’s operating revenue in 2012 jumped 4% to S$18,825m. Operating revenue grew on mobile service revenue growth from Singapore, further lifted by the stronger Australian Dollar. Meanwhile, net proﬁt, which included the exceptional net tax credit on transfer of assets to an associate, increased 4 per cent. Jardine Strategic achieved an underlying profit before tax for the year of US$4,597million, little changed from the prior year.Underlying profit attributable to shareholders was also in line with 2011 atUS$1,587million,while underlying earnings per share were 1% higher atUS$2.58. Jardine Matheson Holdings’ revenue for 2012, including 100% of revenue from associates and joint ventures, was US$60.5 billion, compared with US$57.3 billion in 2011. Jardine Matheson achieved an underlying profit before tax for the year of US$4,762 million, little changed from the previous year. Underlying profit attributable to shareholders was also little changed with a 1% decline at US$1,479 million, while underlying earnings per share were 2% lower at US$4.06. DBS’ Full-year net profit before one-time item rose 11% to a record $3.36 billion from higher net interest income and customer-driven non-interest income, as well as from lower allowances. If a one-time gain of $450 million from the partial divestment of a stake in the Bank of the Philippine Islands was included, net profit would be $3.81 billion. OCBC’ reported a net profit after tax of S$3.99 billion for the financial year ended 31 December 2012, an increase of 73% from S$2.31 billion in 2011. 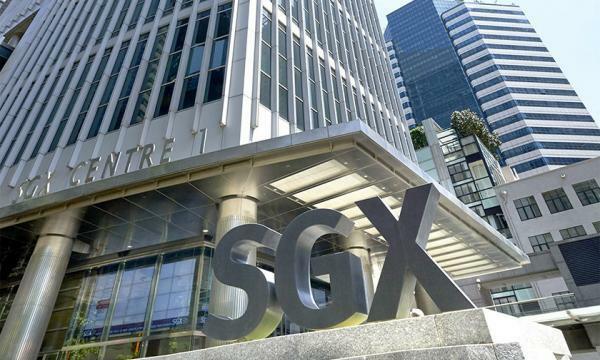 Core net profit after tax, which excludes gains from the divestment of non-core assets, grew 24% to a record S$2.83 billion, as compared to S$2.28 billion a year ago. The results were driven by a combination of record net interest income, fee income and net trading income as well as significantly higher contributions from Great Eastern Holdings. The UOB Group’s net earnings for the financial year of 2012 rose 20.5% year on year to a record high of S$2.80 billion. Net profit for fourth quarter of 2012 was S$696 million, 24.7% higher from the same quarter last year while marginally lower by 1.5% when compared with the third quarter of 2012. Wilmar recorded US$1.26 billion net profit in FY2012 versus US$1.60 billion in FY2011. Excluding non-operating items and net gains from changes in the fair value of biological assets, the Group’s net profit declined 23% to US$1.17 billion in FY2012. Total revenue increased marginally by 2% to US$45.46 billion versus US$44.71 billion in FY2011. Hong Kong Land Holdings’ underlying profit attributable to shareholders rose 11% to US$777 million. Underlying earnings per share were up by 9%, reflecting the larger number of issued shares due to the conversion of convertible bonds during the year. Keppel Corp’s net profit increased 28% to $1.914m. Meanwhile, its revenue jumped 39% to $13.965m.Its Offshore & Marine and Property divisions delivered strong performance, bringing net profit before revaluation, major impairment and divestments to a new high of $1,914 million. Genting Singapore 2012 revenue was $2.95b down from $3.22b in 2011. Its net profit was $0.68b down from $1.01b in 2011. ThaiBev Group generated total revenues of Baht 161,044 million, or an increase of 21.8 percent. Net proﬁ t was Baht 28,760 million, or over 140.3 percent growth when compared to the year 2011. Jardine Cycle and Carriage Ltd’s revenue for the year grew by 7% to US$22 billion, while underlying profit and underlying earnings per share were largely unchanged from 2011 at US$1,016 million and US¢285.72, respectively. Profit attributable to shareholders was 4% down at US$987 million and earnings per share were also down 4% at US¢277.48 per share after accounting for non-trading items. CapitaLand’s posted net profit after tax and minority interests of S$930.3 million and revenue of S$3.3 billion, amidst global economic uncertainties. Global Logistic Properties’ revenue in 2012 climbed 19% to Us$566m. Its net asset value also jumped 18% to Us$7,788. Fraser and Neave’s 2012 revenue was $5,570m thanks to strong topline growth in F&B and properties divisions. Meanwhile, profits before interest and tax was %952m, a 120% increase from last financial year. Singapore Airlines’ total revenue was $14.857.8m which was a 2.3% increase from last year. Meanwhile, profit before taxation was $448.2m, down 68.4% from financial year 2010-2011. ST Engineering’s group revenue grew 6% year-on-year to reach a new high of $6.38b, whilst profit Before Tax and net profit grew by 10% and 9% to $723.1m and $576.2m respectively. Underpinned by the strong revenue and profits, the group registered earnings Before interest, Taxes, depreciation and amortisation of $795.0m, an improvement of 7% or $52.3m over FY2011. Total Access Communication, Thailand's second largest mobile phone operator by subscribers, recorded a 9.9% drop in net profit to THB3.0 billion. For the fourth quarter ended 31 December 2012, CityDev delivered a strong set of results with revenue of $886.4 million and net profit after tax and non-controlling interests of $249.3 million, up by 22.8% and 52.8% respectively. This was backed by better performance from the property development segment. Revenue and pre-tax profit of this business segment increased by 83.0% and 35.7% respectively.